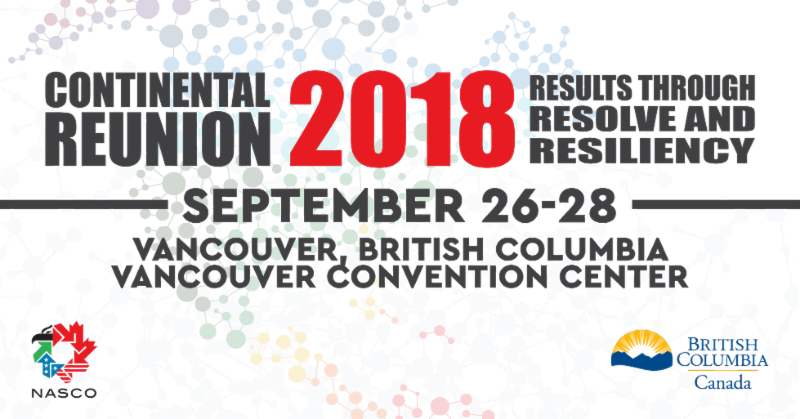 PNWER, on behalf of NASCO, would like to invite you to attend the 2018 Continental Reunion being held September 26-28 in Vancouver, British Columbia. The event will be a great opportunity for members to hear from PNWER COO, Brandon Hardenbrook, on cross-border issues as well as listen to remarks from experts on NAFTA and a variety of other topics of interest. Register for this event by visiting the NASCO website or by clicking here ! Hello from your North American friends at NASCO! We know many of you reside on the West Coast and hope you will consider joining our 14 th annual NASCO Continental Reunion coming up in Vancouver, September 26-28. We are excited to return to Canada and highlight the many advantages of the Pacific Northwest region and talk trade. Undoubtedly, it's been a wild year for North American trade, but come hear what we're doing at the grassroots level to move things forward. The NASCO Continental Reunion brings together North American industry and government leaders in a unique way and features ideas and solutions regarding our continent’s borders, trade and transportation network. The common thread at each year's reunion is how to strengthen North American cooperation at the grassroots level. To view full working agenda, click here. North American State of Trade – What a year! Our future’s so bright, we gotta wear…. protective goggles? 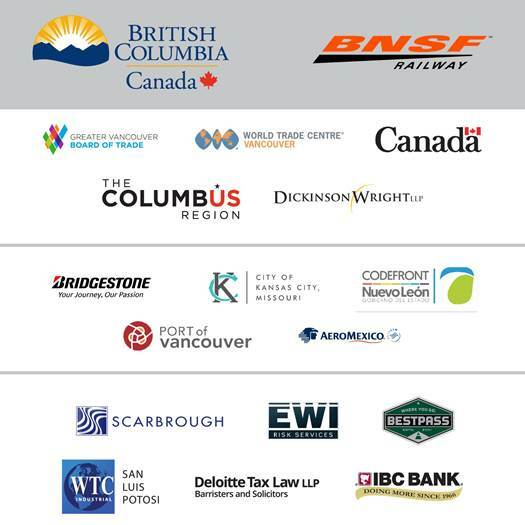 Thanks to NASCO 2018 Continental Reunion Sponsors!